Endurance Health Insurance Corporation of America is a worldwide company, which specializes in insurance and reinsurance with offices in the United States, Bermuda, the United Kingdom, Singapore, Zurich, and Switzerland. The company began in 2001 and has been quite successful with over $8.4 billion in assets and $2.4 billion in shareholder equity. Compare health insurance quotes by entering your zip code into the toolbox now! Endurance is licensed to write insurance in 35 of the United States offering primary and excess professional liability products for medium to small, self-insured community hospitals and large physician’s groups. The company offers $25 million capacity for hospitals and $15 million capacity for physicians with a minimum attachment of $1 million customized for each client depending on risk and location. Endurance also offers excess and umbrella policies for its clients to add to their current policies. In Bermuda, Endurance provides medical liability insurance to institutional healthcare providers like stand-alone hospitals, multi-hospital systems, university teaching hospitals, and integrated specialty hospitals. A $25 million capacity is also required and offers the following coverage: affirmative punitive damages, follow form or stand-alone excess, and risk mitigation recognition program. Endurance requires a signed application, ten-year historical data submission, audited financials, description of claims, quality and risk management departments, and latest actuarial study for policyholders. Endurance claims are handled in house. All claims are handled electronically. Policyholders are assigned a claims representative as soon as they purchase a policy. This way, when a claim needs to be filed, they already have a contact person to call or email. The claims staff also conducts audits on their clients throughout the year in order to provide them with claims analysis and offer advice on how to reduce claims. 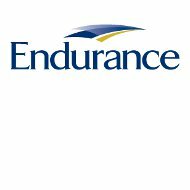 A list of claims representatives listing their email address and phone number can be found on the Endurance website. Endurance Health Insurance Corporation of America maintains an “A” rating by A.M. Best.